2018, Book, 14cm x 22cm x 6cm, Unique. 2018, Embossed Book Cover, 11.5cm x 19cm x 12.5cm, Unique. 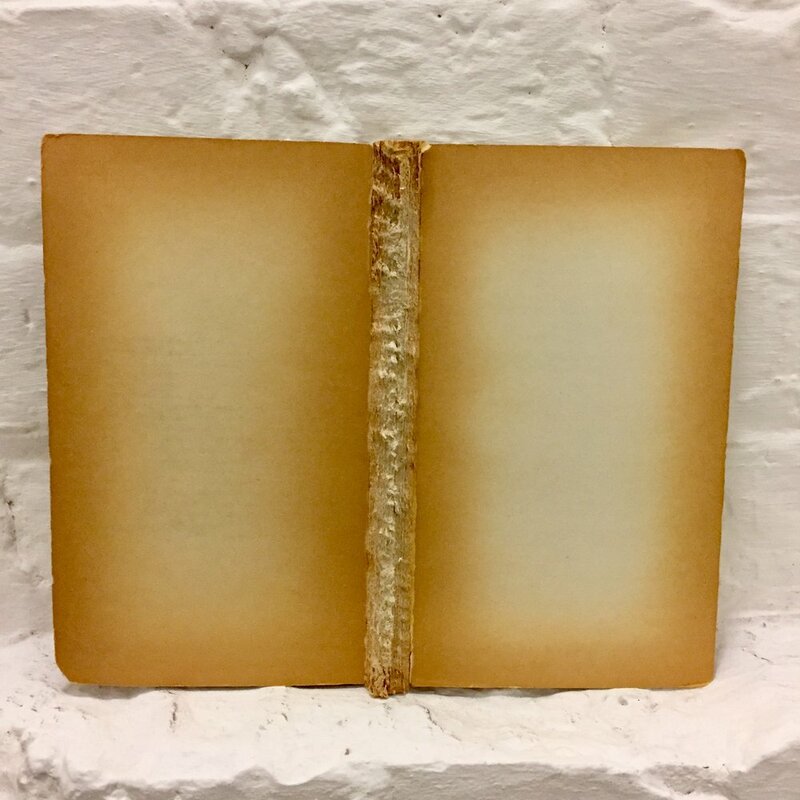 Index, 2018, Page, White Beeswax, Bookbinding Thread, 21cm x 13.5cm, Unique. 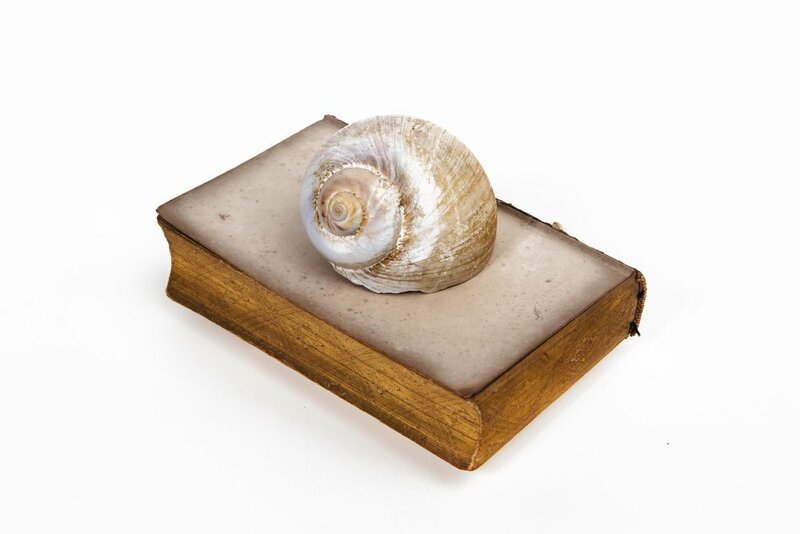 2018, Uncovered Book, Seashell, 9.5cm x 13cm x 8cm, Unique. 2018, Tissue Paper, Ink, 30cm x 39cm, Unique. 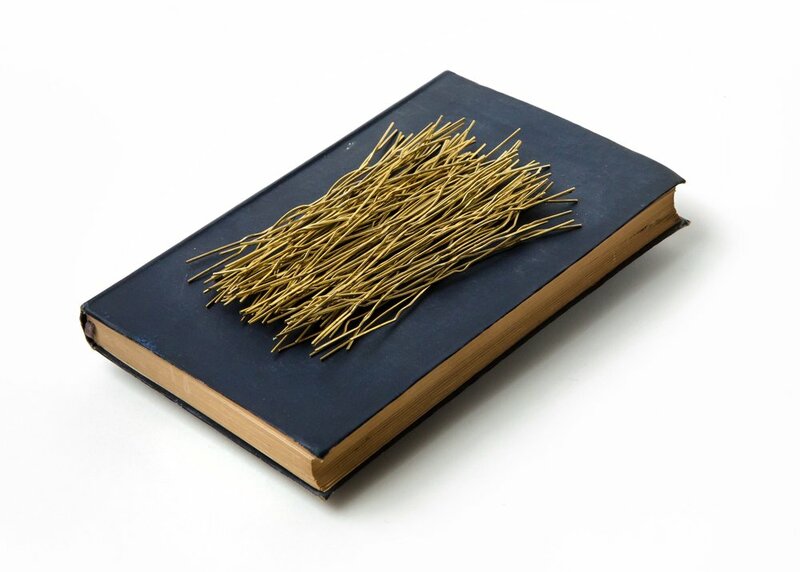 2018, Book, 101 Brass Paperclips, 16.5cm x 11cm x 3.5cm, Unique. 2018, Embossed Book Cover, 18cm x 24cm, Unique. 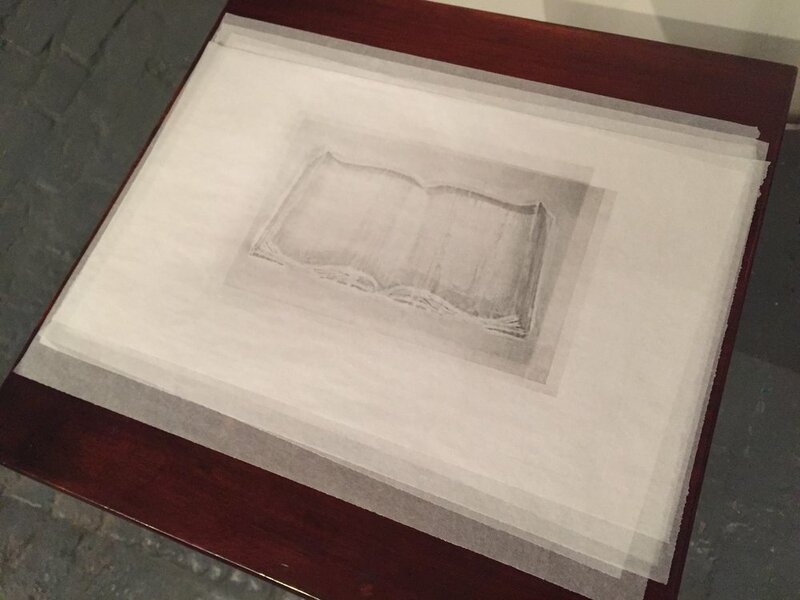 2018, Embossed Book Cover, 22cm x 30cm, Unique. 2018, Book Cover, 18cm x 22cm, Unique. 2018, Embossed Book Cover, 22.5cm x 17.5cm, Unique.